It is with regret that the Club has to announce the death of Life Member Jonathan Williams, yesterday, in Southern Spain following a battle with cancer. After racing Minis, and then impressively in an Austin A40, Jonathan graduated to Formula Junior in 1963 first with a Merlyn and then a Lotus 22 accompanied by Frank Williams (no relation) against whom he had raced in their A40s the previous year. Based (largely on the road) in Europe, for 1964 he was joined in this nomadic existence by his friend Piers Courage for Formula 3, living off their start money and winnings under the grand title of Anglo-Swiss Racing. Fellow pal, Charles Lucas, ran the pain in Brabhams in F3 the following year which lead to a works F3 drive with De Sanctis which delivered eight wins in the 1966 season. This success did not go unnoticed in Maranello and the prize was an F2 seat with Ferrari for 1967, although the under-developed and uncompetitive car gave Jonathan little. He was called up to replace the injured Mike Parkes at the Mexican Grand Prix at the end of the season, but his eighth place was considered insufficiently impressive by Ferrari for him to be retained the following season and it proved to be his only Grand Prix start. 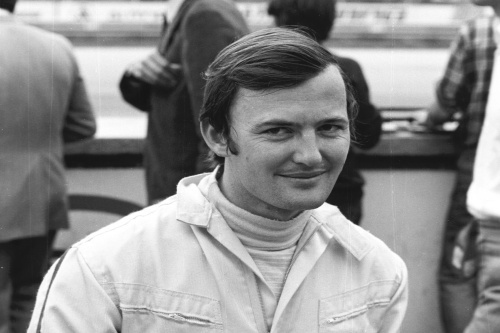 Occasional outings continued over the years that followed - in 1968 he won the Monza Lotteria for a third time, in 1970 he co-drove the Porsche 908/02 which carried cameras for the Le Mans movie and his final race was the 1971 Targa Florio in which he finished seventh. Life after motor racing was for many years as a private jet pilot based in the South of France (quite often flying Ferrari team personnel) and more recently touring around Southern Europe. Jonathan spent his final weeks in a Spanish hospice - Cudeca Hospice in Arroyo de la Miel, Spain, where he received first class care. Funeral details are not yet known but Jonathan had made it known that he wished any donations, however small, to go to Cudeca Hospice.